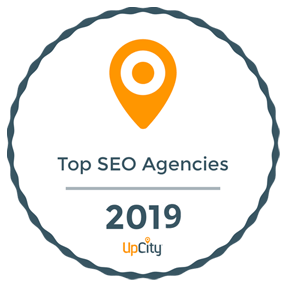 Right from its inception, SEO has been an area of constant change, and a new update often forced major alterations to strategies. Even so, we entered a new era when Google publicly released TensorFlow in November 2015. This open-source software library powers technologies like Gmail and RankBrain. Gone are the result-manipulation days. Today, search engine optimization prioritizes content and user experience. The introduction of machine learning has opened up a new paradigm in search, and this will probably shape our understanding of SEO. To be well prepared, you’ll want to understand what machine learning is and how it might impact the future of SEO. As a form of artificial intelligence, machine learning makes it possible for computers to learn without being programmed. This means that software programs will have the ability to change and grow when exposed to new data, making computers more adaptable. Machine learning isn’t an entirely new premise. In fact, basic machine learning algorithms existed and flourished in the 1990’s, albeit with limited applicable use. Until recently, all of Google’s updates were manual pushes, which is why we saw massively volatile results whenever major updates hit. On the other hand, RankBrain is designed to continually determine and integrate new yet necessary features on its own. RankBrain is a modifier that works in conjunction with Hummingbird to help identify and interpret the intent of complex or ambiguously queries. Although it’s possible you have not yet noticed anything dramatic, RankBrain is doing a great job. As a small-scope update, RankBrain is probably the beginning of bigger machine learning advances. Why are machine learning updates different? Most of us have survived a significant number of Google updates, and a conceptual machine learning algorithm is not very different from any other, at least on the surface. Even so, you’ll want to know the difference between this update and a manual one. Guessing what a human might consider good or relevant is easy. But guessing the same about a machine is almost impossible due to our natural anthropic bias. As a result, machine learning updates are quite unpredictable, which might be scary if you are a search marketer. When a machine learning algorithm develops an idea on how to improve a line of code, it will push it without question. Although RankBrain has a supervisory system in place, the speed it works at is not like what we are accustomed to, where major pushes can take one or several years. Keeping up with the changes will, therefore, be harder than it was with human modifiers. Because they don’t need breaks, machines will only stop when you tell them to stop. As such, machine learning algorithms like RankBrain are always searching for ways to improve, and this has a compounding impact on the total number of changes pushed. As machine learning algorithms like RankBrain get smarter in understanding both users and their intents, they’re also learning how to read content and whether the information included offers the right answer to the query and individual user. Algorithms that understand a query’s intent based on linguistics can deliver new types of results, weighed and correlated in a way that humans cannot predict. While it’s hard to say when we will see the next machine learning component or what it will look like, it’s almost a guarantee that machine learning algorithms are the future of SEO.